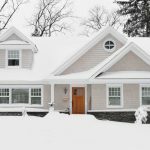 Pharo Heating and Cooling is one of Dane County’s largest residential heating and air conditioning specialists and has been providing quality HVAC service in the new-home construction and replacement markets for more than 35 years. The Pharo family has been part of Madison, Wisconsin’s HVAC industry for four generations, dating back to 1913 when Clarence Pharo, Sr. worked in heating commercial and industrial buildings. Throughout the 1930’s, John, Bob and C.M. (sons to Clarence Pharo) made their way into Madison’s HVAC industry, working on a variety of heating systems. 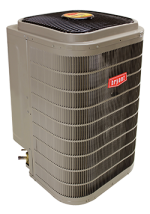 They continued to provide satisfied customers with effective heating and air conditioning systems throughout their lifetime. In 1983, William “Bill” Pharo, founded Pharo Heating Company in Madison, Wisconsin. 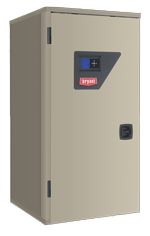 Pharo Heating focused on providing efficient and affordable heating and air conditioning systems to residential builders and homeowners. Bill and his son, Clint (fourth generation), continue to provide satisfied customers with quality and affordable HVAC systems. Pharo Heating employs 15 full-time technicians, while also providing apprenticeships and internship opportunities to local high school and college students. Additional service areas – Arlington, Baraboo, Blue Mounds, Cottage Grove, Cross Plains, Dane, Deerfield, De Forest, Fitchburg, Lodi, McFarland, Madison, Marshall, Mazomanie, Middleton, Mount Horeb, Oregon, Portage, Poynette, Sauk City, Stoughton, Sun Prairie, Verona and Waunakee. There is always a service technician on call, 24 hours a day/seven days a week, available to service your HVAC system, emergency or not. We want you to be 100% satisfied, and back our products and services with a full guarantee. Call Pharo Heating at (608) 233-1001 or email us today, to get a FREE estimate on a new-home heating or air conditioning system, or a replacement system for your existing residential/small commercial heating and air conditioning needs. We are a Better Business Bureau Accredited Business with an A+ rating! We are the recipients of back-to-back-to-back 2010, 2011 & 2012 Angie’s List Super Service Award! 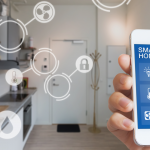 Pharo has been a member of the Madison Area Builders Association for 20 years; an affiliate of the Wisconsin Builders Association, and the National Association of Home Builders. Pharo takes pride in being part of such a great community and believes in giving back to them with local fundraising, charity work, and program donations. Together we can provide a better, happier and more sustainable community. We started doing business with Pharo more than 25 years ago. And as then, as is today, they have been outstanding in the amount of quality they bring to our homes. 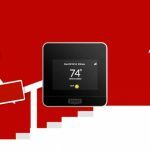 But more importantly, the energy efficiency they bring, day in and day out, to cool those homes in the summer and heat those homes in the winter. We’ve been building high performance homes for a very long time and Pharo Heating has been THAT partner that’s helped us over those 25 years to not only meet, but exceed our customers’ expectations. With our original heater, we had Pharo fix it many, many times. And finally, we needed to look at something new and reliable. They had come to fix the old one late on a Saturday night and we finally made the decision for a new one. So, Pharo worked with us and helped us choose a system that was going to be much more efficient and reliable. And the energy savings for having an efficient heating system that was reliable actually ended up saving us money in the long run. Pharo installed our HVAC when our house was built and we've had them service it ever since. We usually get the same tech for our seasonal check-ups, which is nice. From the appointment setter to the tech to the installers (we recently had a new AC system installed), Pharo is top-notch in terms of workmanship and customer service! Highly recommend. Fast, Friendly, and Reliable! When it comes to my Heating and Air Conditioning needs, Pharo Heating is the only company that comes to mind. They have been in the Madison area for a long time and have a proven track record that speaks for itself. I wouldn't consider using anyone else! We have been customers of Pharo Heating for almost twenty five years and they have never let us down. Whether routine maintenance or repairs or total replacement, they are friendly, punctual and professional. Never a need for a second call. We recently recommended Pharo to our new neighbor for maintenance and they were extremely pleased with their service and will call them again. Great Service and Installation! 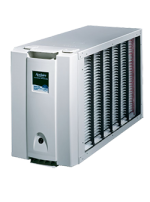 We recently had our furnace and AC units replaced in our 18 year old Sun Prairie home. Clint from Pharo came out to evaluate, and emailed me an estimate the same day. After getting a few other quotes and saw that they were very competitive, we decided on Pharo. Since the new furnace was a little smaller than the old one, I was worried that we may have possible heating issues. 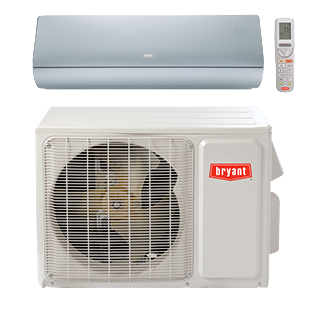 Clint assured me the new Bryant unit would be more than enough and he was right! 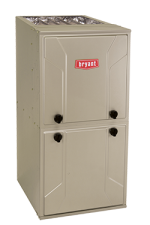 We have never had any cold spots in the house, and the furnace does not run too long or too short (as the incorrect furnace size can do--which can cause problems)! The installers were very courteous and they cleaned up when finished! We tell everyone we know how good they were to work with! 102 degrees outside and steady 85 in the house, about 80 in the basement, and the AC broke the night before. Called a few other repair companies who couldn't be here until Monday (4 days from now) and cost would be much more than Pharo. Office staff, Madelyn (I think), super nice and helpful. The repair man was at my home within 2 hours of my call for help (maybe sooner) and he got the problem fixed. I immediatelyrecommended Pharo to my 3 siblings. They saved us during this heatwave and we are very grateful! They even have an online coupon! Just 1 great experience and they now have a lifetime customer in us and probably 3 other families! My relationship with Pharo has been excellent. They have responded in a timely fashion and their services were reasonably priced. The service people were knowledgeable and polite. Pharo Heating was a proud participant on ABC’s Extreme Makeover: Home Edition in 2008 for the Anders family in Richland Center. It was a great experience to see the southern Wisconsin community come together and provide the Anders family with a much needed home makeover. 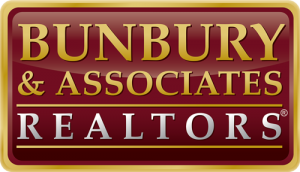 Pharo Heating is proud to be a preferred vendor for Bunbury & Associates Realtors®. Every member of the Bunbury & Associates Realtors® team is committed to delivering the finest real estate services available.